Not to be missed! This immaculate, bright home is ready for immediate occupancy. Cathedral ceilings in the kitchen, dining room and living room give the home a contemporary flair, along with the freshly painted walls in clean, neutral tones and the gleaming hardwood floors. The home features an open floor plan with sliders from the dining room to a deck overlooking the level backyard.The kitchen is very spacious with stainless steel appliances. The refrigerator and gas cook top/oven are under 3 years old. Three bedrooms and 2 full baths complete the main floor. All bedrooms have new carpeting with a lifetime warranty. The large finished lower level features sliders leading out to the rear patio, a natural gas portable fireplace and a laundry room with a half bathroom. Both the washer and dryer are under 3 years old. Additional features include: gas heat, central air, city water, city sewer, a 4 year old roof, and a brand new hot water tank. 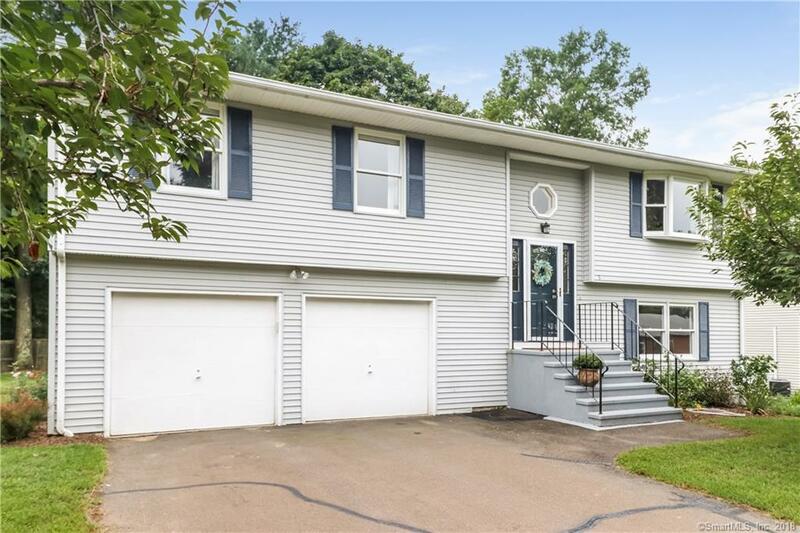 This move in ready gem located in Whitney Ridge is convenient to shopping, universities, restaurants and downtown New Haven. Come and see how this property stands out from the rest!